The 80/20 rule tends to apply in all aspects of life, and it is certainly applying to social discovery, at least in terms of who “gets it” and who doesn’t. I say that because, when I talk to folks about social discovery, about 80% of them feel that it is a fringe issue that will be something to deal with in the distant future. Only 20% realize that social discovery is happening now and that getting ahead of the curve presents a huge opportunity. On the surface, it would seem problematic that so few embrace the realities that social media is here to stay in the business world. According to Forrester Research’s The State Of Consumers And Technology: Benchmark 2013, US, “consumers of all age groups use social networking. From the 85% of Gen Zers to the 57% of the Golden Generation who visit Facebook at least monthly, social networking is ingrained in the Internet experience for all generations. 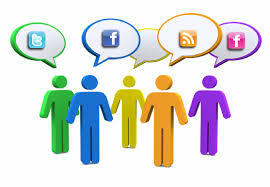 Consumers use social media to interact with companies, too. The average US online Facebook user “likes” 14 brands on Facebook, while almost seven out of 10 social networkers engage with brands on social media.” That social media content is discoverable is not up for debate; the argument tends to be around whether actual social discovery is mainstream yet. The proactive management (e.g. archiving) of social media is not yet a mainstream practice in US enterprises. In talking to a colleague at an archiving vendor, the primary reason for this is cost. Yes, there is a lack of maturity in policies (both usage and retention) and a fear that simply journaling social media into an archive will just bloat digital landfills, but the primary issue is cost. This is because most of the solutions for capturing social media into an archive are hosted and have recurring subscription and storage fees. As a result, the starting cost – just to add social media to an archive – is over $25,000. For most enterprises, that additional cost is a non-starter. Just because proactive management of social media is not mainstream does not mean that social discovery as a practice is not. I can look at the sales numbers for X1’s Social Discovery (X1SD) product and tell you that the growth rate is such that it is clear the practice is widespread. I have also heard from service providers that are doing over 30 Facebook collections per week. To me, that indicates that social discovery is a mainstream practice. With X1SD, the cost issue is averted because the starting cost is less than $1,500. Plus, the filtering capabilities allow investigators to only pass potentially relevant content downstream in the eDiscovery lifecycle. And, being a desktop install means that no custody or control issues will pop up (especially important in the law enforcement use-case). Most of the coverage of social media tools focus on the marketing use-cases – for example enterprise listening platforms and social relationship platforms. Those use-cases serve important business functions, but discovery platforms need to meet a higher standard. They need to show defensibility and have great control over custody of the data. With such capabilities in place and in use today, it is only a matter of time before enterprises connect the dots and begin addressing social discovery with as much discipline as they do collection of email and other enterprise content.